These young Lions were very excited to find their mum. She had left them the night before to go hunting. 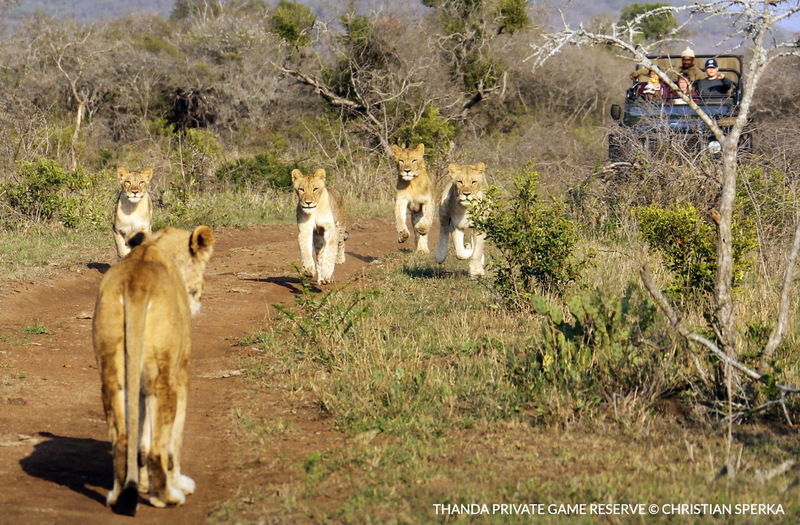 The Thanda guests on the game viewing vehicles enjoyed to watch the reunion. ← Black Rhino, Leopard, Hyena and Jackal!